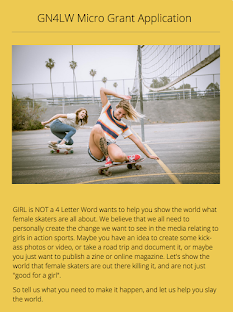 Girl is NOT a 4 Letter Word: Minna Stess Joins The GN4LW Team! Minna Stess Joins The GN4LW Team! 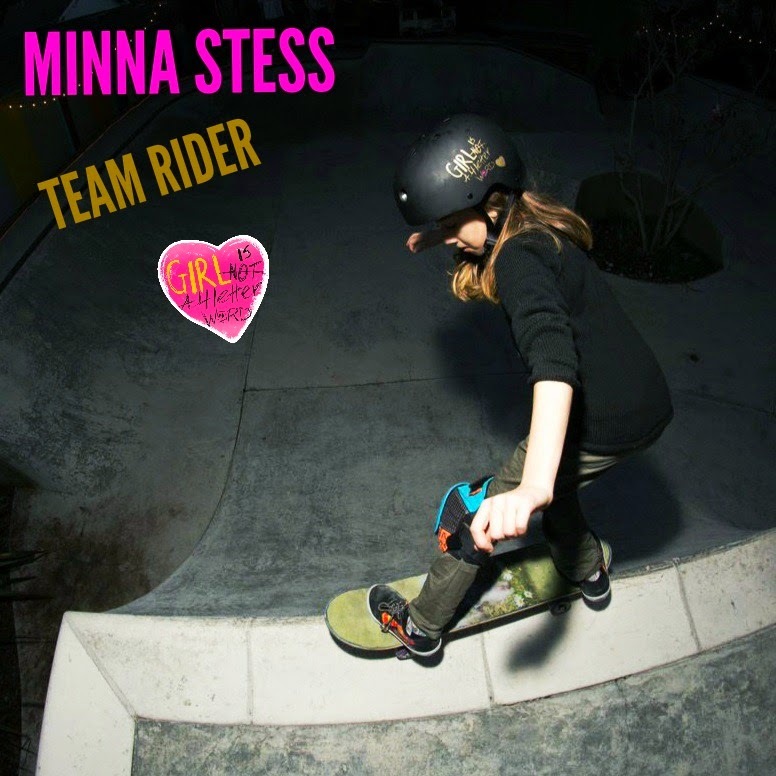 We are stoked to announce that 8 year old ripper Minna Stess is now on the Girl is NOT a 4 Letter Word team! 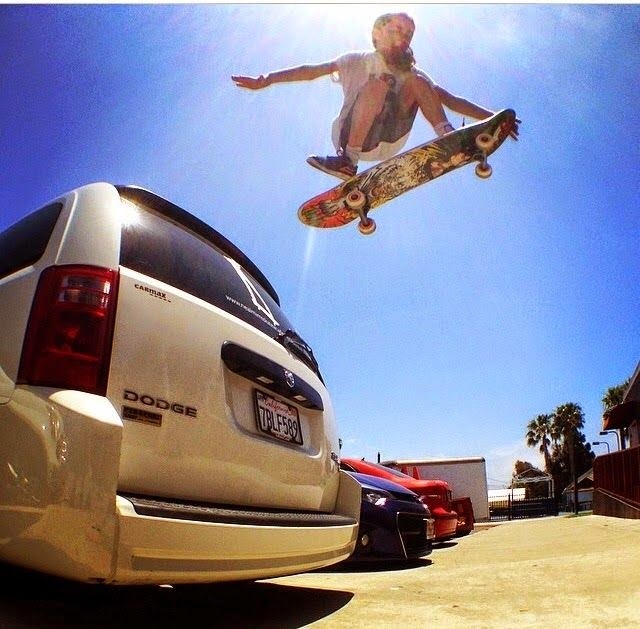 Minna is known for doing things that people four times her age would think twice about - like skating off the roof of a van, dropping in on the mega ramp at Woodward and more. 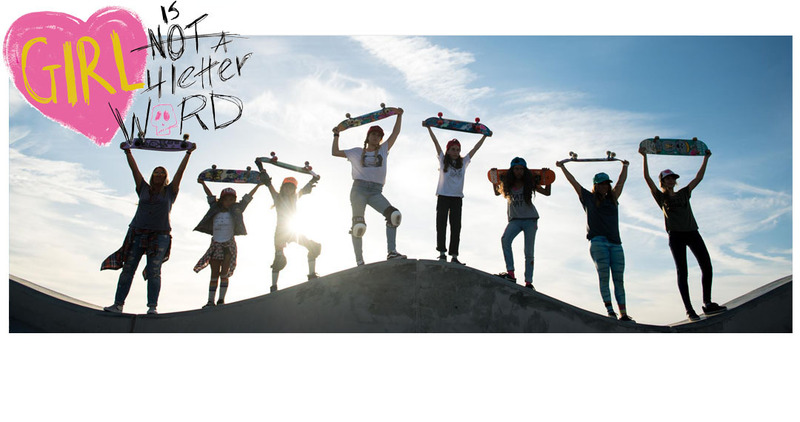 She is also a top ranked amateur skater on the World Cup circuit. 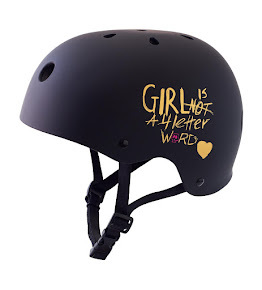 Minna will be representing GN4LW by wearing the XS x Girl is NOT a 4 Letter Word helmet. 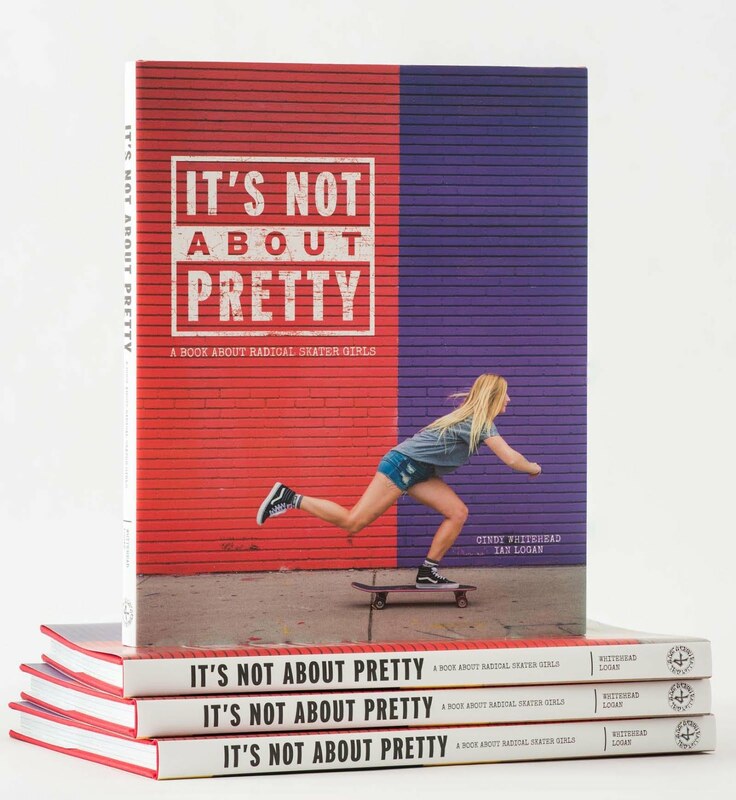 Her other sponsors include: Silly Girl Skateboards, Brokin Bonz Clothing, Theeve Trucks, Lakai Limited Footwear, & Sonoma Old School Skate Shop. Welcome to the team Minna! We can't wait to see what amazing things you do in 2015!